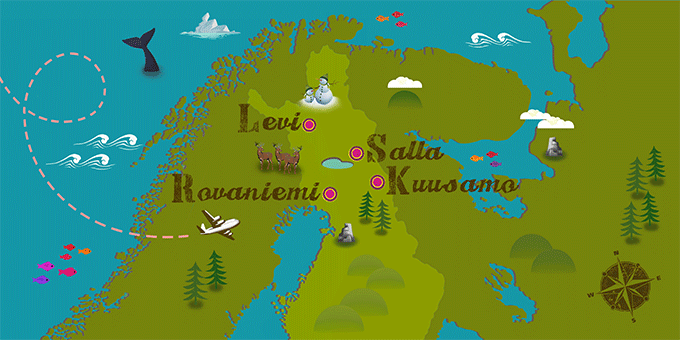 We don't have any trips to Finland at the moment . In terms of celebrations, Finland shows great originality when it comes to it’s national events. The Finns have the ability to turn almost any event into a party. As a mainly Christian country, one of its greatest celebrations is Christmas, as Santa Claus himself (Joulupukki in Finnish) lives in Finnish Lapland. There you can visit his house and meet his reindeer, who, during the night of 24th, are responsible for bringing gifts to well-behaved children. They also attach great importance to Easter, whose pagan traditions have been maintained over the years. If Finland has caught your attention, leave us your number so we can call you to discuss the voyage that awaits you.